It’s been an unbelievable privilege to work on the Voiceless film project. It’s incredible to me, as a young adult, to see this go from an idea sparked by a handful of students, to a film project that hundreds of people are directly involved in, and that hundreds of thousands have supported. That blows my mind. From skyping in to chat with classes of kids from Spain, Italy, and Norway, to speaking in front of hundreds at the Voice of the Orca’s conference, to hitting the “most popular” slot on Kickstarter during our fundraising campaign, to interviewing dozens of scientists, marine biologists, activists, artists, surfers and students from around the world– we’ve come to realize that this is more than just a film. This is larger than us. 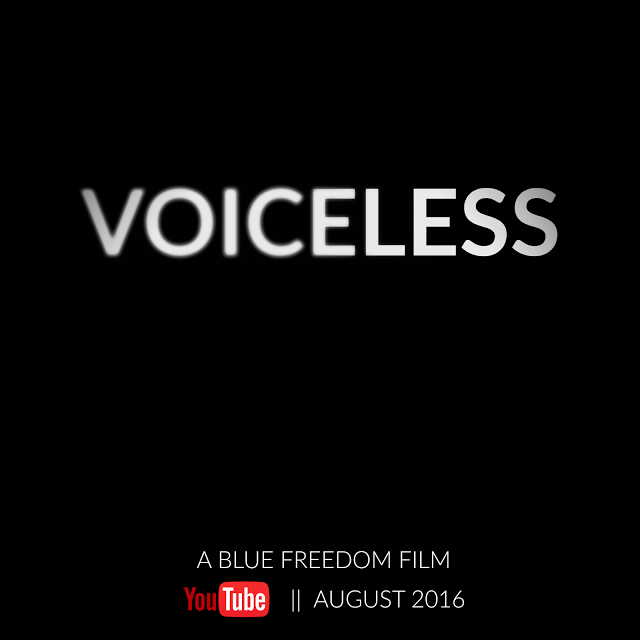 Voiceless – Trailer – A Film by Blue Freedom from HTK Marketing on Vimeo. We can’t thank you guys enough for believing in us. Amazing work from such young people – just as tear-wrenching as the Cretaceous Beasts themselves! Thank you from the bottom of my heart for your fortitude. We have become so used to visual entertainment that it’s likely many viewers can’t imagine the obstacles in your way – reaching out to the ex-trainers was definitely key. The separation of species relationships has always been key to controlling the narrative. Here on Vancouver Island, and indeed throughout Canada, industry carefully controls its exposure through the locking of simple gates, which excludes MASSIVE tracts of land. Thousands of hectares in size, these mountainous areas have been logged 3 times in some cases without anybody knowing it happened even once. Obviously wildlife has been deleteriously effected – permanently. Huge Elk herds once roamed the island; now the one resident herd can be easily counted, and can no longer traverse the whole island. It is controlled by a ‘new’ inland highway with Elk-fencing running the entire length, with VERY occasional tunnels underneath. However, even when given access, the practice of leaving the ground strewn with the limbs of dead Trees makes travel for the usually fleet of foot difficult if not impossible. The population and dynamics of the species have suffered. Aside from amusing the dummies of our species, this over-all lack of consideration comes from the same mind-set as captive Whales and Dolphins – PROFIT. This needs to change, but until people stop investing in any given practice, it’s likely to continue… and you know there are a few people making a lot of money off of places like Sea-world – and many more who take home enough to continue investing. I don’t know if you’ll read this, but I saw your film “Voiceless” and I thought it was very inspiring. I live in the Netherlands and I really want to make a documentary like you guys did, but I just dont know where to start. I dont have friends that are like into animals, so I’ll have to do it alone. Do you have a few tips for me? Or would you like to contact me?